How to teach computational thinking at schools? What are the educational benefits of learning programming for all? How to organize coding education at schools? Computational thinking has been identified as an essential 21st century skill relevant not only to computer scientists. Unfortunately, many computer users, particularly children, consider programming to be hard and boring. Over the last 20 years we have explored how to overcome these challenges with Computational Thinking Tools such as AgentSheets and AgentCubes by pioneering concepts such as drag and drop programming. The presentation will discuss computational thinking, demonstrate computational thinking tools, and outline the Scalable Game Design curriculum used in the USA, Switzerland and Mexico. is the Hasler Professor and Chair of Computer Science Education at the PH FHNW and a computer science professor at the University of Colorado. He is directing the Scalable Game Design Initiative. He has worked in research and development at Asea Brown Boveri, Xerox PARC, Apple Computer, and Hewlett Packard. Repenning is the creator of the AgentSheets & AgentCubes simulation and game computational thinking tools. He has offered game design workshops in the USA, Europe and Japan. His work has received numerous awards including the Gold Medal from the mayor of Paris for “most innovative application in education of the World Wide Web”, as well as “best of the best innovators” by ACM (Association for Computing Machinery) and has been featured in WIRED Magazine. Repenning is an advisor to the National Academy of Sciences, the European Commission, the National Science Foundation, the Japanese Ministry of Education and the Organisation for Economic Co-operation and Development (OECD). My presentation is a plea for the use of modern pedagogy in creating learning material for computational thinking/coding. If we want to stimulate coding in the school curriculum we should be aware of the pedagogy we use. So instruction-oriented courses (e.g. existing ECDL) should become more pedagogical hybrid. 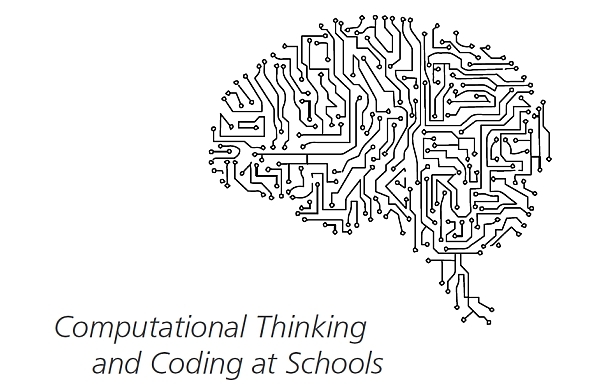 A coding course should be a mix of instruction and a more cognitive constructionist approach. This in combination with a powerful Community of Practice of which you will became a member. Assessment should consist of partly a traditional testing, and one or more coding assignments. Was professor at the NHL-University of applied science (Fachhochschule) in Leeuwarden (the Netherlands) at the Institute for Education and Communication? He did research on the development of new pedagogies and ICT. He was also senior curriculum developer for Informatics at the national institute for curriculum development SLO in Enschede. He studied theoretical linguistics at the University of Amsterdam. He writes for more then 30 years about ICT in several magazines and national newspapers. Switzerland is in the early stages of (re-)introducing compulsory informatics courses at all educational stages. Especially at Swiss Gymnasium schools this process is multifaceted and influenced by associations and private initiatives. This presentation explains two of these initiatives and discusses their potential. The “GFI@CH” is a working group of the Swiss Informatics Society and the “Schweizerischer Verein für Informatik in der Ausbildung”. It aims to formulate a curriculum for a compulsory course in informatics at the Swiss Gymnasium schools that will be supported by teachers, lecturers and experts in the field. The freely available online resource “Programming Concepts in Python with TigerJython” is developed by a small team in order to generally support education in informatics. It is well suited for implementing the GFI@CH curriculum. As a docent of the Pädagogische Hochschule Bern, Ralf Kretzschmar shares his passion for didactics, informatics and media education with future gymnasium and secondary school teachers. Furthermore, he enjoys teaching informatics and media literacy at the Gymnasium Thun. Currently he is member of several curriculum development groups and is co-leading the creation of a new training course in informatics for secondary schools in the Canton of Bern. Dr. Scratch is a free/libre/open source software assessment tool that analyses Scratch projects to offer feedback to educators and learners, and assigns a computational thinking score to the projects. This talk will explain the procedure followed to perform the computational thinking assessment from the source code, and will summarize the investigations carried out to test its effectiveness to foster programming skills, to validate its convergence with other computational thinking assessment tools, to measure its correlation with other, classic software engineering complexity metrics as well as with assessments from expert human evaluators. Jesús Moreno-León joined Universidad Rey Juan Carlos in 2012, after a decade as a Computer Science teacher, to perform research and promotion of Computational Thinking (CT). He has been co-author of several papers on CT in scientific conferences and journal publications and has authored an ample amount of dissemination articles on the topic. As part of his promotion activities, he runs Programamos (We Code), a non-profit organization which promotes the development of CT from early ages. He collaborates with EU Code Week as a Spanish ambassador. In this short presentation it is shown how the so called Bebras Challenge is able to seed the ideas of informatics concepts to many school students of all ages. A Bebras Challenge consists of a series of easily understandable tasks that should be solved in relatively short time. The main idea is that all tasks do not require any specific pre-knowledge. No specific software, no specific system and no specific programming language. It is the way of thinking while solving the tasks that forms the learning of Computational Thinking. After the contest the Bebras tasks are published and their relations to Informatics (computing) are explained. It is also shown how teachers can use the Bebras tasks in regular computing lessons to teach Computational Thinking. is professor of informatics at the Institute of Software Technology and Interactive Systems at the Vienna University of Technology, where he is responsible for the informatics teacher education. His research areas are Software Engineering and Informatics Didactics. In his didactic research he is interested how concepts of Informatics and Computing can be conveyed to school students with a low threshold. He is chair of the Informatics education special interest group of the Austrian Computer Society OCG and responsible for the IOI and Bebras activities in Austria. Technology has a deep impact on everyday life of most people in today’s society, and computer science seems to be a basic element of this evolution that is going on. According to Jeanette Wing, Computational Thinking now represents a “universally applicable attitude and skill set everyone, not just computer scientists”, should be eager to learn and to use in order to deal with this situation. But, up to now, it is not clear how and when these attitudes and skills should be learned. In this presentation we thus will go back to the very roots of Computational Thinking, which is much more than programming, and see how it can be taught by using COOL Informatics – an Austrian teaching model that is based on neurodidactical principles. By making use of its four principles – discovery, cooperation, individuality and activity – we will also learn that most of the concepts and attitudes can be taught outside Universities, namely at secondary and even primary schools and in non-computer science subjects. Andreas Bollin received his Ph.D. and Venia Docendi in Applied Informatics from the University of Klagenfurt where he is currently active as Full Professor and Head at the Institute for Informatics-Didactics. His research interests are Informatics-Didactics, Computer-Science Education, Project Management and Software Engineering (with a focus on Reverse Engineering and Formal Methods). He is also active in the area of e-learning and new technologies to enhance various aspects of teaching computer science. help teachers understand the concepts computational thinking. began his career as a teacher of maths but then got the computer bug! This led to Head of Research and Development at the Computer Centre at Queens University of Belfast and a Visiting Professor at the University of Ulster He established, and was chairman of seven micro companies covering maths assessment, electronic voting, cultural heritage, a radio station and telecommunications. He spent 15 years as a government advisor dispensing knowledge transfer funds to 200 university-company partnerships and monitoring their performance. He has a long history of commitment to his professional society BCS, joined it in 1966, was a member of its Council for 30 years and its President in 1986. 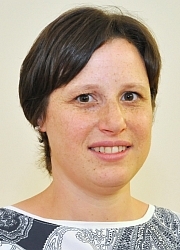 Irene Bell has been a member of the Stranmillis University College academic staff since 1996. She is Head of STEM and a Principal lecturer. She holds a BSc honours degree in Mathematics, a MA(Ed) degree and a PGCE from Queens University Belfast and an EdD from Exeter University. She has 11 years experience of teaching mathematics in Post-primary schools and 20 years of teaching within Initial Teacher Education. Formerly Head of Numeracy and Chair of Primary Education she now leads STEM Education at all levels within Stranmillis University College and is Chair of Post-primary Education. The author or co-author of several research papers and conference presentations she has been the recipient of a Teaching Award in both 2005 and 2007 and the joint winner with Ian Simons of the 'Blackboard Technology Award' (2013). She is the Chair for Northern Ireland of Computing at Schools. The Conference is co-located with the OCG Annual Assembly Meeting.